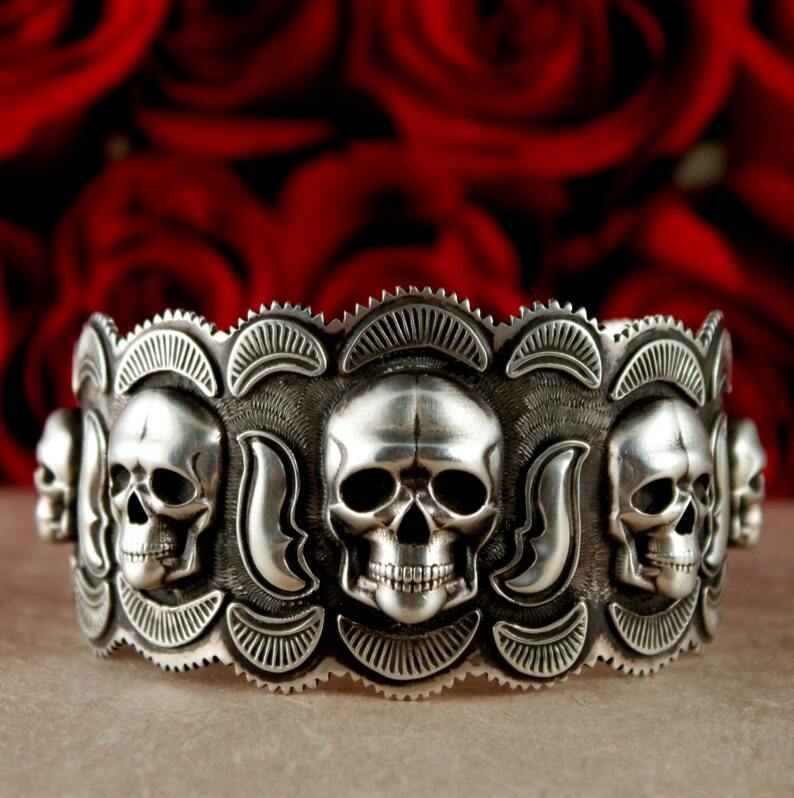 This one big heavy sterling silver cuff with five, (1) 25mm, (2) 20mm (2) 15mm solid sterling silver skulls. Reprosse designs are hand forged the cutout and overlayed on. The cuff has over 35 pieces individually overlayed on it with the edge hand filed and the texture hand engraved for the final detail. It is hand finished with a steel wool rub to bring out the detail and give it a vintage look. Cuff is approx 2 inches at the widest part. Cuff fits a common sized man's wrist of 7.5 to 8.25 inch circumference. Approx. measurements are 6.5" inside with 1.5" gap. Can be adjusted slightly when you get it.